Chaitra Navratri is a highly popular Indian festival that is celebrated twice in a year, the first time in the Chaitra month. This festival is stretched for nine days from Pratipada, the first day to Navami, the ninth day during Shukla Paksha. Chaitra month marks the beginning of the year, which sets a phase of celebration for these nine days. Chaitra Navratri is also named as Vasanta Navratri, and Rama Navratri. In this festival, the nine forms of Goddess Durga is worshipped one in each day. People perform puja at home as well. They Buy Puja Accessories Online to make this puja perfect. Pratipada: – The First day in which Goddess ShailPutri ( a form of Durga ) is worshipped. Shailputri is the daughter of the Mountain God, Himalaya. She has two sons named as the Ganesha and Kartika. She is the incarnation of Sati, who was the daughter of Daksha, the great king. As per the legend, Daksha prajapati was the son o Brahma. Dwitiya: – Goddess BrahmaCharini, another form of Goddess Durga, is worshipped on the second day of Chaitra navratri. In this avatar of Maa Durga, she is believed to embody penance. This name of the Goddess is derived from two separate terms – Brahma, which means penance and Charini, which means the ardent female follower. When she immolated in the fire and sacrificed herself, Maa Durga was born as the daughter of the great king of Himalayas. This little one was given the name ‘Parvati’. Tritiya: – Goddess Chandraghanta is worshipped on the third day of Chaitra Navratri. It is said that her forehead was bedecked with half moon. Chaturthi: – The fourth day marks the worship of Maa Kushmanda. This is the avatar of the Adi Shakti and is also known as the ‘Smiling Goddess’. The name of this form of Durga has a meaning. The first two letters, ‘Ku’, means little, the next few letters of the name, ‘Ushma’ means energy or warmth, and the last letters, ‘Anda’ means egg. On combining these three terms, the meaning of the entire name can be derived, that is the ‘little cosmic egg’, means the universe. This states that she is the creator of this universe. Panchami: – The fifth day calls for worshipping Skandamata. ‘Skanda’, the first half of the name is actually the other name for Lord Kartika and the second half of the name, ‘Mata’ means mother of Kartika. As a whole, the name means the mother of Lord Kartika. Sashti: – Goddess Katyayani is worshipped on the sixth day of the festival. She holds a lotus and a long sword in two of her four hands. She uses her other two hands for blessing the devotees and protecting them. Saptami: – The seventh day begins with the puja of Goddess Kalratri. She is also known as Maa Kali, the one who puts an end to every evil and darkness. The devotees make the puja arrangement from beforehand. They buy each and every samagri from the Puja Items Online Stores and perform the puja with perfection on one of these auspicious days of the festival. Ashtami: – This is the eight day. The celebration begins with a puja for Goddess MahaGauri. She is worshipped for attaining loyalty and for creating strong bonds with loved ones. Navami: – This is the ninth and the final day of the festival in which Goddess Siddhidatri is worshipped. Maa Durga is one of the most powerful deities and performing a puja at home on this festival can assure to protect you and your loved ones from all odds and evils. 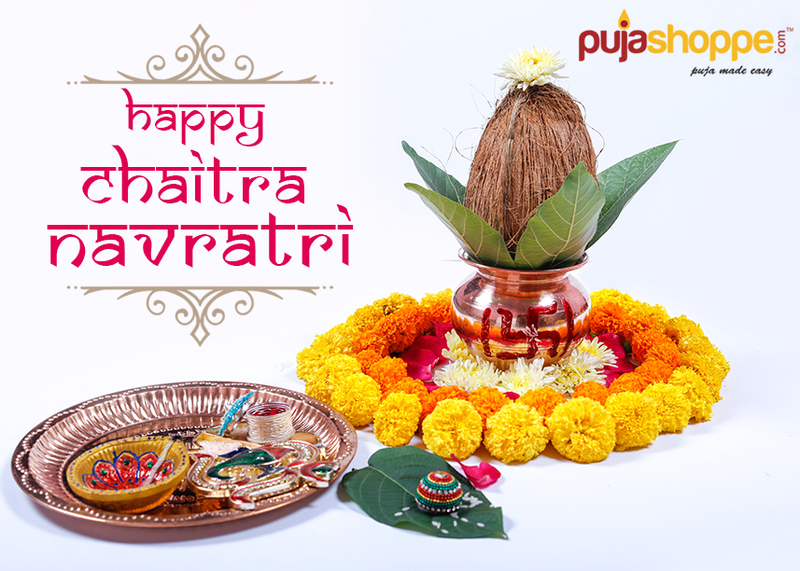 You will be blessed with a positive and a happy life with this puja. During this puja, the photo of Durga is decorated with sandalwood paste, flowers, vermilion, and turmeric paste. Fruits, sweets,incense sticks, etc. But if you want all these samagris under the same roof then the best place to look for these is the puja items online store. You can either buy the samagris separately or can choose to buy the online Navratri puja kit that has everything you need for the puja. Previous PostWhat are the Advantages of Using Brass Items?Next PostWhat is the Significance of Baisakhi?